Brandy Stanfill, MSEd, provides on-site consultation to help teachers address the social and academic challenges of students in the ASD Nest program. 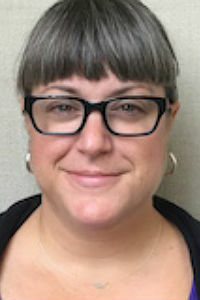 Brandy taught in New York City public schools for eleven years, including seven years as a teacher, cluster, and coach in the ASD Nest Program. She has been an adjunct lecturer at Hunter College and taught courses on autism spectrum disorders and behavior theory and interventions and conducted specialized pre-service training for Nest staff on Staten Island. Brandy is particularly interested in the impact of ASD and other developmental disorders on children and families in low-income communities.